BLS has relationships with more than one thousand dealers throughout the U.S. and Canada. They understand that dealers are the trusted partners of customers and that they offer the added convenience of installation and on-site expertise. Established dealers will always receive discounted pricing when working with BLS. All of BLS' dealers have extensive product training on all BLS products. 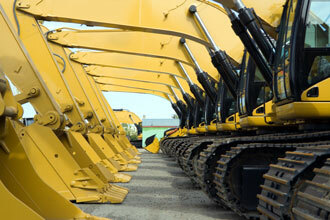 They also have access to BLS' complete line of OEM and aftermarket track pads and other undercarriage parts. Many of them carry inventory, allowing them to better serve their local markets in a timely manner. Contact them directly to inquire about any of BLS' high-quality parts for asphalt milling machines, asphalt pavers, excavators, dozers, compact track loaders, pipelayers, and more. Company Name: Samjoo Construction Machinery Inc. If there is not a dealer in your area at this time, please contact BLS directly.